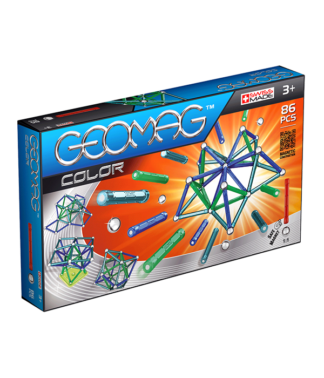 View cart “Magnetic color construction toys – Geomag 120 pcs” has been added to your cart. 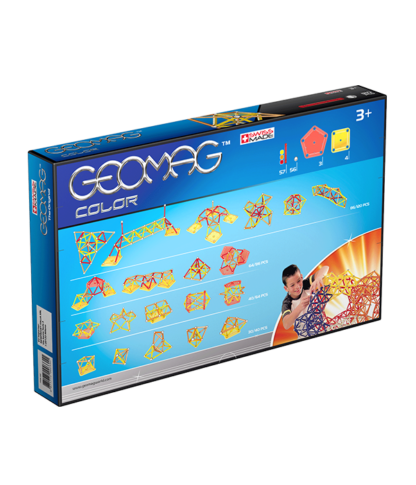 Geomag Color 120-Piece Construction Set with Assorted Panels – Mentally Stimulation for Children and Adults – Safe and High Quality Construction – For Ages 3 andabove. 7 Assorted Panels (3 pentagonal base panels, 4 Square Base Panels ). 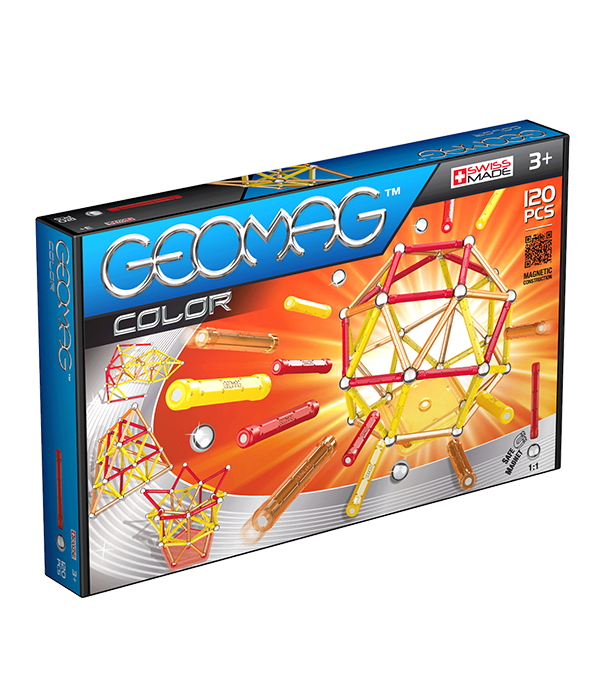 MAGNETIC ENGINEERING – This playset contains 57 red, yellow, and orange magnetic rods and 56 non-magnetic steel balls that let you connect and build whatever awesome creations you want. 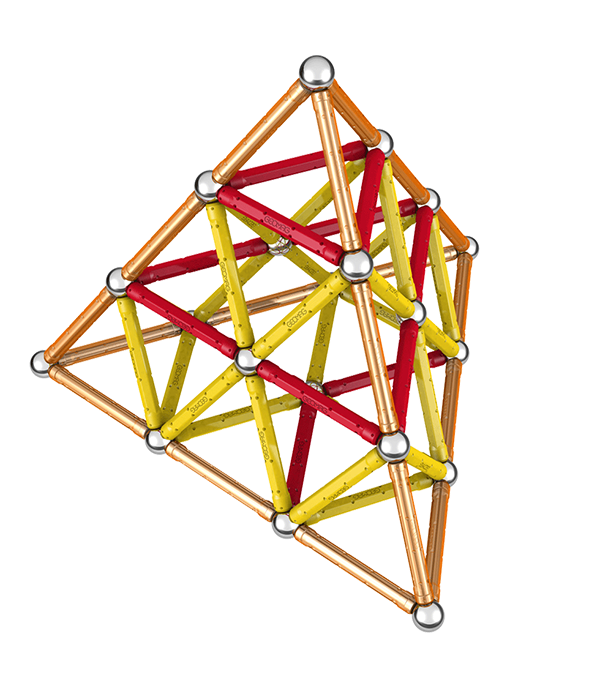 Make an architecturally sound bridge, a decorative star, or something wild and undefinable. The choice is up to you! 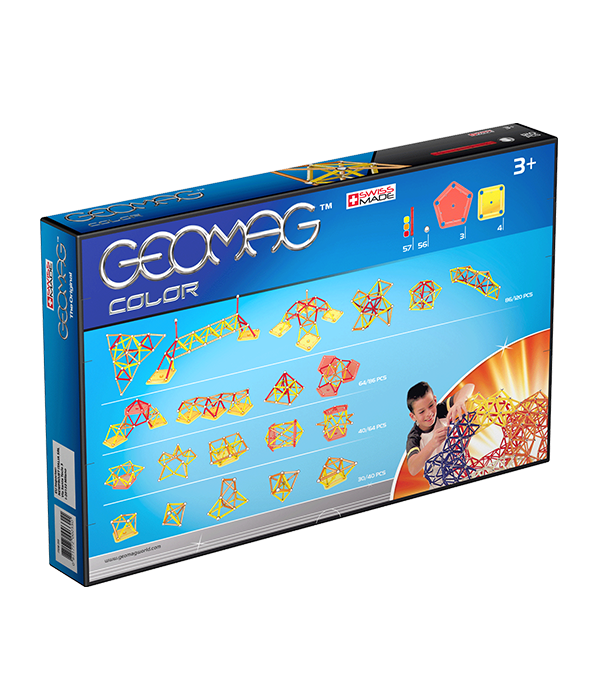 DISPLAY PANELS – With our new assorted panels, you can take your creations from scaffolding to a colorful reality! 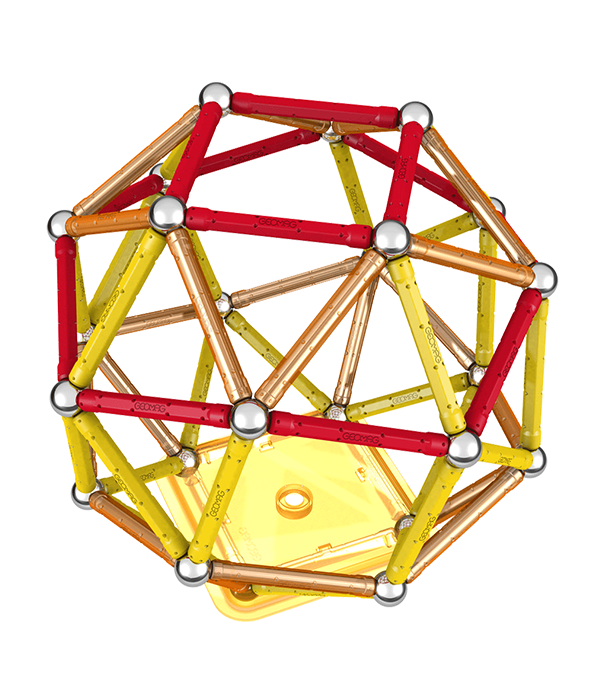 Including 7 geometric pieces of assorted sizes, colors, and shapes, magnetic construction just got way more in-depth! 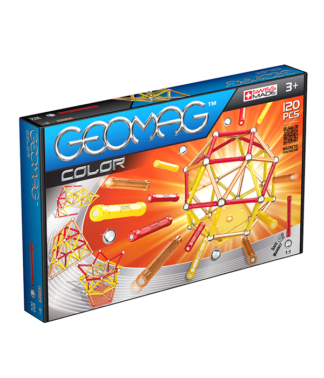 EDUCATIONAL AND STIMULATING – Geomag’s award winning line of products help children of all ages develop imagination and curiosity through the science of magnetic construction. 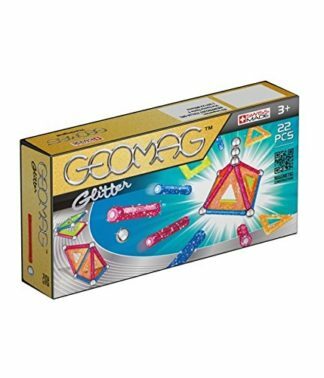 Each year, Geomag introduces new and innovative toys that entertain, delight, and stimulate young and growing mental faculties. 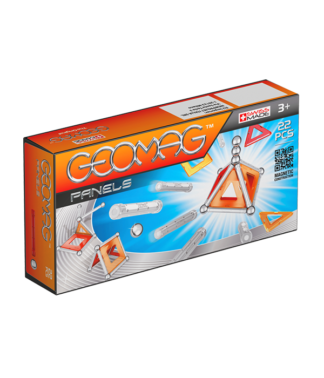 ASSURING SAFE PLAY – Geomagworld SA manufacturing complies with the most rigorous European and international safety standards. At our facility in Novazzano, Switzerland we follow each production phase step by step to ensure that our products adhere to the highest safety standards. 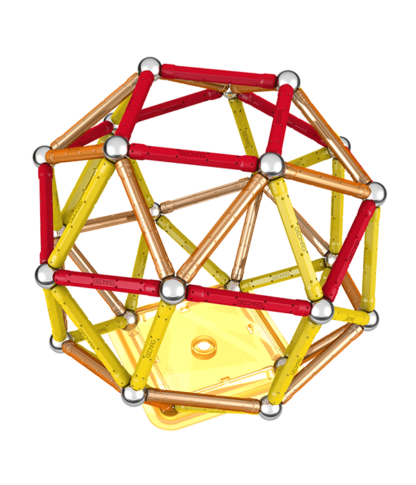 SPECIFICATIONS – Package includes (57) red, yellow, and orange magnetic rods, (56) non-magnetic steel balls, (4) yellow square panels, and (3) large red pentagon panels. Warning: CONTAINS SMALL PARTS. Not suitable for children under the age of 3. Recommended for children ages 5 and up. Warning: CONTAINS STRONG MAGNETS. Keep away from sensitive devices such as credit cards, computers, magnetic media and medical devices like pacemakers. 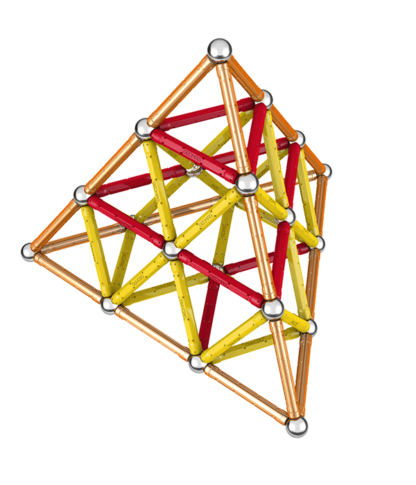 Discounts up to 30-35% on all Products.